Your adrenal glands are responsible for managing levels of hormones like cortisol, testosterone, and adosterone. However, high levels of these hormones can potenially cause physical or emotional stress. 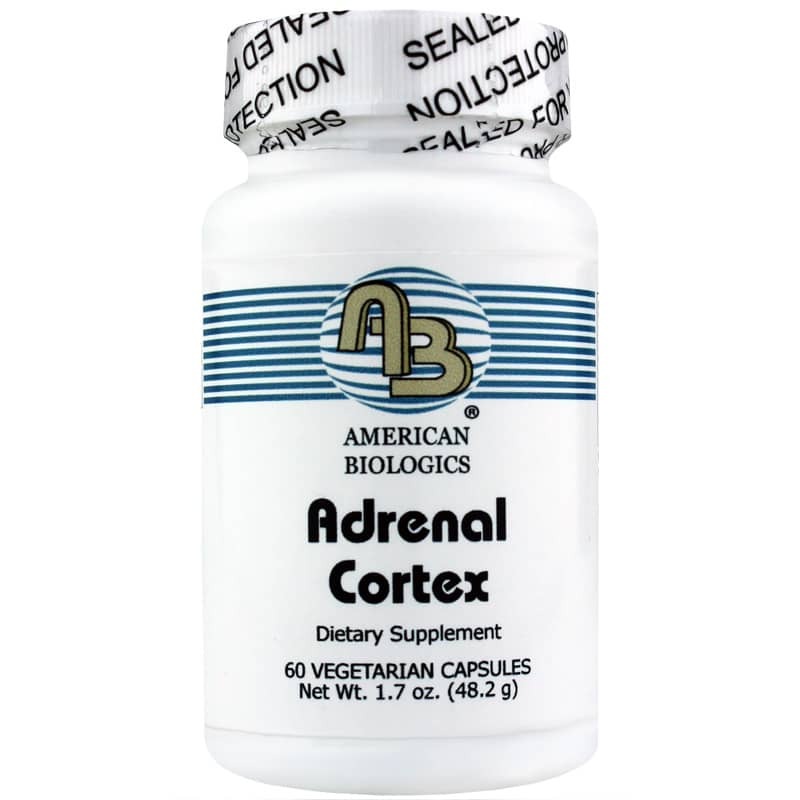 Luckily, Adrenal Cortex from American Biologics may help to potentially alleviate symptoms of fatigue. Other Ingredients: vegetable stearate, microcrystalline cellulose. 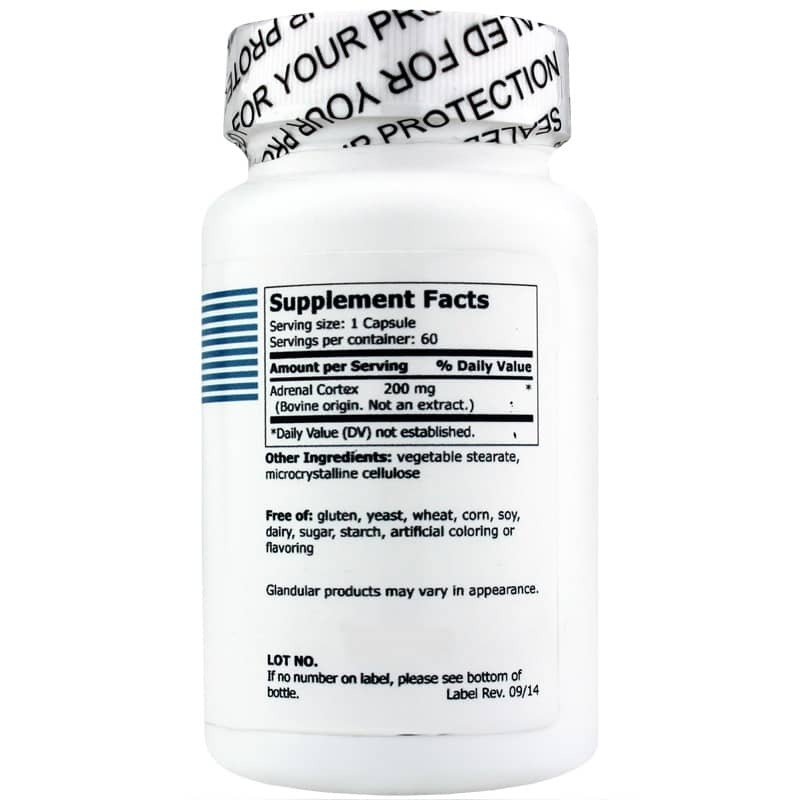 Contains NO: gluten, yeast, wheat, corn, soy, dairy, sugar, starch, artificial coloring or flavoring. 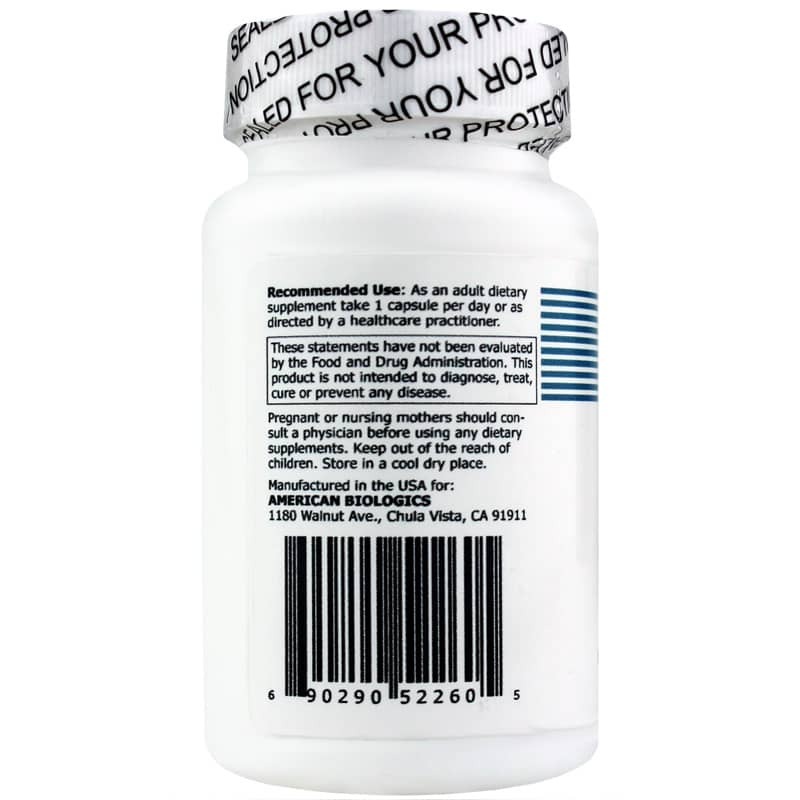 Adults: As a dietary supplement, take 1 capsule per day or as recommended by a healthcare professional.